Each year the United States celebrates Hispanic Heritage month from September 15 to October 15. 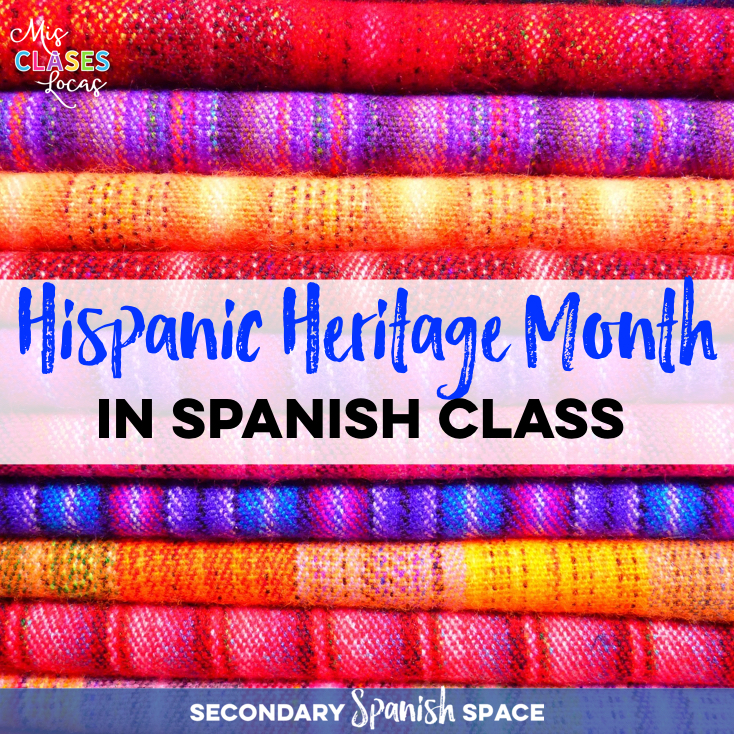 As Spanish teachers this is an excellent opportunity to celebrate the varied cultures, histories, and contributions of Americans with Spanish speaking heritage. To be honest, in the past I have not done the best job making Hispanic Heritage month a priority. With the back to school hustle and trying to start the year off right, the month of September often flies by and suddenly it is October and time for Día de los Muertos. Here are many resources to put culture at the core of Hispanic Heritage Month. 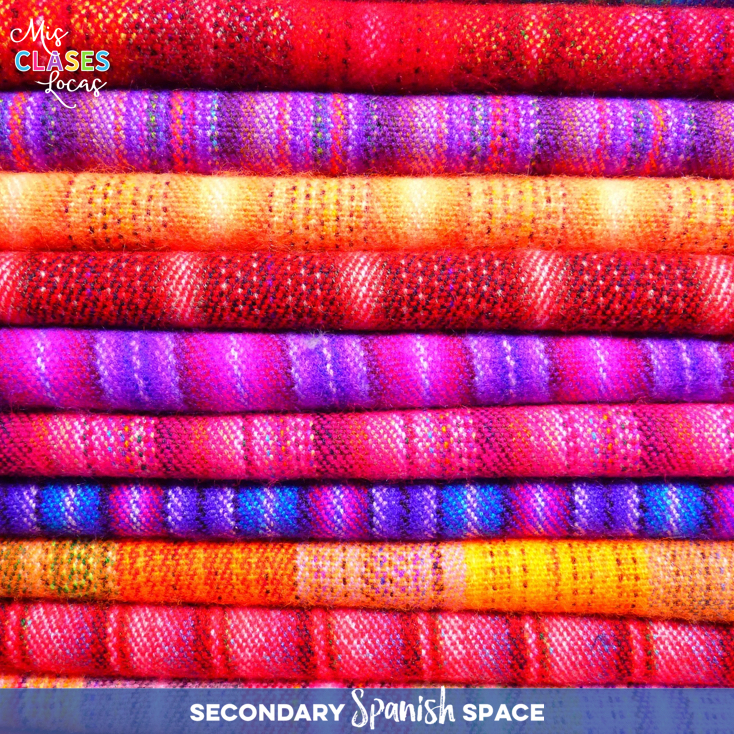 Each one of these posts has many resources, links and ideas all about Hispanic Heritage Month. I have found that authentic music is an excellent way to connect with students, while getting them engaged in the varied cultures of the Spanish speaking world. You could play a new song during passing time, at the start or class, as a bell ringer, or use a song as the focus of an entire cultural lesson or unit. Besides these 15 ways to use authentic music in Spanish class, below are more music ideas for Hispanic Heritage Month. 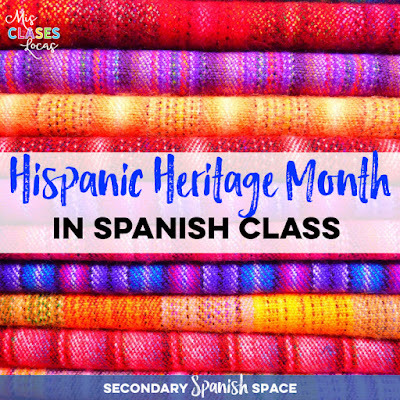 Due to the fact that HHM is set during many of the Spanish speaking countries independence days, there is a lot of possible history that can be utilized. This is a great chance to do something cross curricular with the social studies department as well. I always try to make a big deal of Mexican Independence day, so in the spring I can reference that we already celebrated independence day, so there is no way they think Mexico's Independence Day is May 5th ;) We usually read about the holiday, watch an authentic clip such as El Grito 2016, and do our own enthusiastic "Grito" in class. Here are more history resources for class. Art is another cross curricular way to gain students' interest. You could read the novel Frida Kahlo by Kristy Placido, do an art unit, or just infuse art by projecting it (Galería: 10 artistas latinoamericanos que debes conocer) or using it as decor in your room. Here are other art ideas we well. I personally love to use comprehensible cultural readings or novels in Spanish. In my own classroom I mostly use novels and texts written for Spanish learners, but if you teach upper levels or heritage learners, this is the perfect time to pull out poetry, short stories, and books written by Hispanic authors. Below are more ideas including an authentic infograph, novels and comprehensible cultural readings. So I realize that all of the above categories are elements of culture, but the resources below include many aspects above combined together and do not fit in a single group! 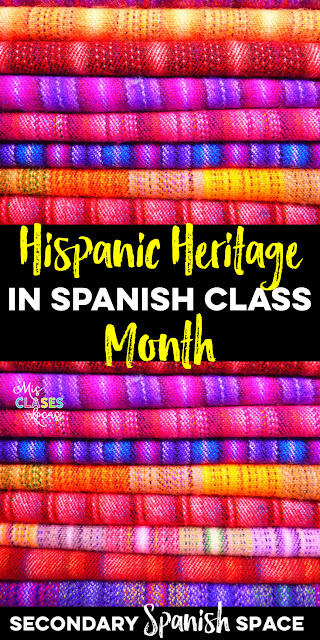 These activities, projects and resources would be a great way to culminate the study of Hispanic Heritage Month. What are your favorite ways to celebrate Hispanic Heritage Month? My plan is to do a song from each Spanish speaking county every day, as well as some cultural readings. Another goal is to take it beyond my classroom. Please share what you are doing in the comments!